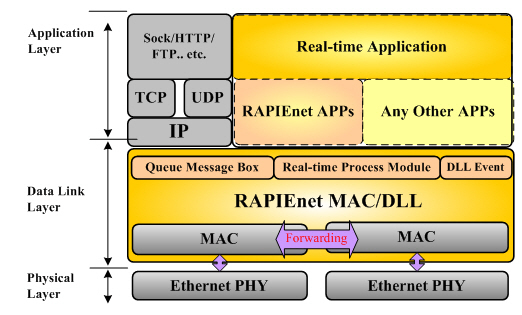 RAPI­Enet (Real-time Automa­tion Pro­to­cols for Indus­tri­al Eth­er­net) is an Eth­er­net-based indus­tri­al net­work pro­to­col which was invent­ed by a Kore­an com­pa­ny, LSIS (LS Indus­tri­al Sys­tems), for fac­to­ry or process automa­tion. Thanks to its unique embed­ded-dual-Eth­er­net-switch-based archi­tec­ture, it guar­an­tees recov­ery time of less than 10 ms for any net­work errors occurred from either hard­ware or soft­ware. It is impor­tant for indus­tri­al net­work pro­to­cols, such as RAPI­Enet, to be approved as an inter­na­tion­al stan­dard since being an inter­na­tion­al stan­dard guar­an­tees inter­op­er­abil­i­ty and proves its tech­ni­cal matu­ri­ty. How­ev­er, the stan­dard­iza­tion process requires not only clear state­ment of tech­ni­cal details but also close col­lab­o­ra­tion among del­e­gates from coun­tries with con­flict­ing inter­ests. Unlike oth­er typ­i­cal stan­dards, in case of indus­tri­al net­works (which are also well known as Field­bus), the IEC inter­na­tion­al stan­dard con­sists of sev­er­al sub-stan­dards to embrace sev­er­al indus­tri­al net­work pro­to­cols that had exist­ed before the stan­dard was pub­lished. After that, a pro­to­col or tech­nol­o­gy which wants to be a part of the stan­dard should ini­ti­ate the stan­dard­iza­tion process by being approved as an IEC/PAS (Pub­licly Avail­able Spec­i­fi­ca­tion) in order to be con­sid­ered as a poten­tial can­di­date in next stan­dard main­te­nance peri­od. 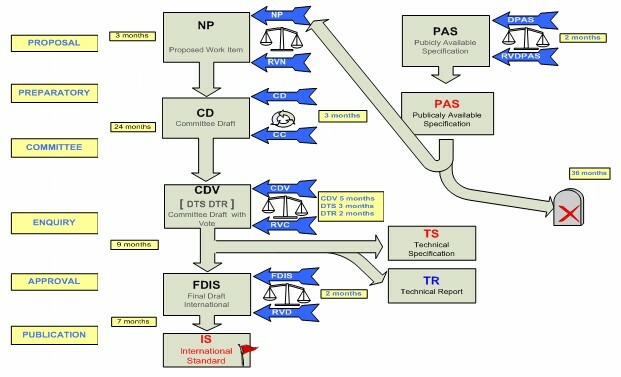 The com­pli­cat­ed nature of stan­dard­iza­tion process some­times forces inven­tors to give up the process which costs human resources, invest­ment, and time. More­over, due to the invis­i­ble wall among stake­hold­ers, it gets worse if they want to be an adden­dum to the exist­ing stan­dard. How­ev­er, I stan­dard­ized the RAPI­Enet as a del­e­gate of Korea in IEC and also worked as an orga­niz­ing sec­re­tary at KATS for sev­er­al domes­tic strate­gic meet­ings for deter­min­ing the direc­tion towards suc­cess­ful approval. The stan­dard­iza­tion was insight­ful and bold chal­lenge that fore­saw the poten­tial impact that was hid­den behind con­tro­ver­sial pes­simistic argu­ments. 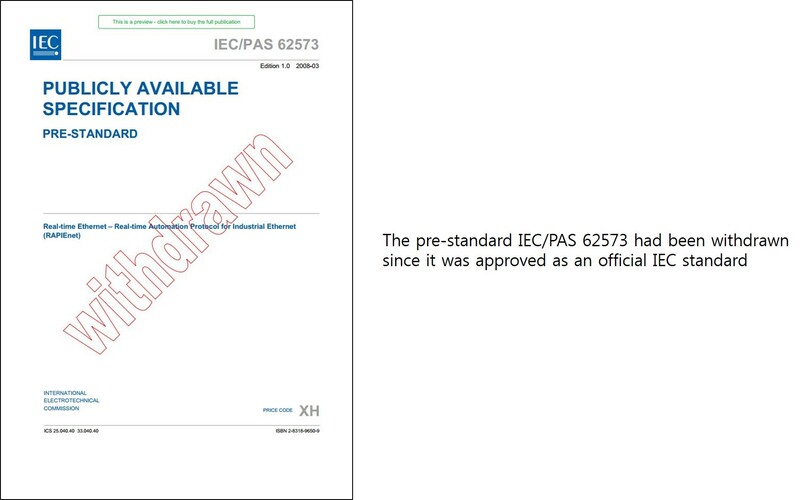 The IEC/PAS 62573 played a sem­i­nal role in sub­se­quent stan­dard­iza­tion and, now (as of Dec 2013), RAPI­Enet holds sev­er­al IEC stan­dards. 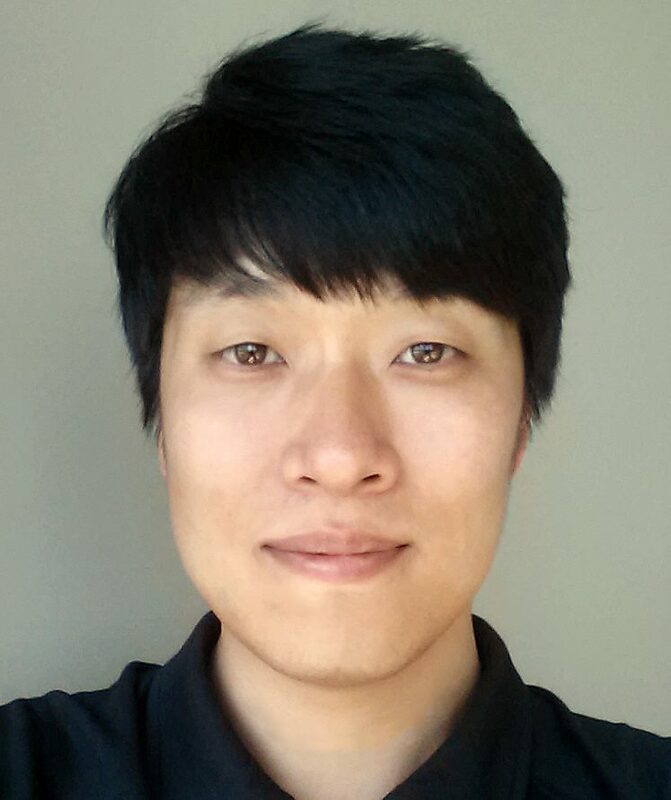 © 2019 Woosuk Lee - Microsoft Applied Sciences Group. All Rights Reserved.